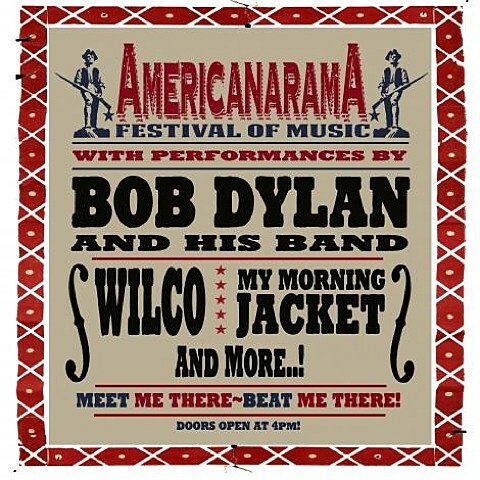 As seen on BrooklynVegan, Bob Dylan, who’s currently on tour throughout the U.S. with Dawes, has announced that he’ll be embarking on the AmericanaramA: Festival of Music tour with Wilco, My Morning Jacket, and the Richard Thompson Electric Trio this summer. That tour includes two Chicago area shows: Peoria’s Chiefs Stadium on July 11 and Bridgeview’s Toyota Park on July 12. Presale tickets for the Chiefs Stadium show will go on sale on April 30 at 10AM CST. Tickets will then go on sale to the general public on May 4 at 10AM. Presale tickets for the Toyota Park show will go on sale this Wednesday (4/24) at 10AM CST. Tickets will then go on sale to the general public this Saturday (4/27) at 10AM; stay tuned for a possible JAM Productions presale.